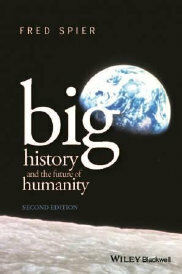 My observations and experiments in big history described earlier (as well as many of them still to be described) have, in my opinion, not only added a few new insights, but they have also made me realize that the study of human history can be considerably enhanced by engaging in such activities more systematically. Surely, written sources are, and will remain, extremely important. Yet they are often difficult to interpret, while the historian never knows for sure whether she or he gets the interpretations sufficiently right. While written sources are the main observations that historians have, they are not the only ones. All material remains (or the lack of them) are important for shaping images of times gone by. A similar situation exists in all other academic fields within big history, ranging from astronomy to archeology, in which scholars first of all rely on observations and scholarly interpretations, which will remain the foundation of those fields. Yet in all those fields academics also engage in experiments and, today, also in computer modeling. Astrophysicists, for instance, very much rely on the experiments done by their colleagues in small particle physics under conditions that simulate situations assumed to have existed in cosmic evolution, while some of them participate themselves in such endeavors. Geologists seek to simulate conditions in the laboratory that are assumed to have existed within our planet to enhance their understanding of what happens at higher pressures and temperatures. Doing so helps them to interpret rocks that may have undergone such conditions. And perhaps starting with Charles Darwin and Gregor Mendel, who experimented in their own gardens with life to see what happens and how to interpret that as part of the history of life, today biologists and ecologists engage routinely in a great many such experiments. Some archeologists seek to reproduce making stone tools, for instance, in an effort to find out how they were made and, in consequence, how to interpret the materials that they find in the ground. And as soon as written sources appear, some scholars of human history are seeking to reproduce ancient circumstances, such as brewing ancient beers, while others seek to model situations on computers. I may get it wrong, but it appears to me that while engaging in such forms of experimental history is totally accepted in the natural sciences, including biology, as soon as humans appear on the scene, and especially when the first writings appear, this is considered less prestigious within academia, in fact more of an add-on than serious academic research in its own right. To my knowledge, for instance, no academic positions of experimental history appear to exist in any academic history department anywhere. Of course experimental history should not replace the more traditional forms of scholarly study. Yet I feel that experimenting with the conditions that may have existed in the past can, and sometimes does, lead to new forms of valuable knowledge. In consequence, experimental history ought to be taken more seriously. So why not install research groups of experimental history that can assist scholars who have such questions about what happened in the past? I think that if that is done, especially from within the context of big history, this would lead to a rapid increase and enhancement of the knowledge of our shared past. In doing so we could use the work and life of Alexander von Humboldt as an example. This genius spent his early life doing exactly that, combining observations and experiments about everything that he found interesting (which was virtually everything that could be observed), in an effort to reach a deeper understanding of how everything worked and was related to each other. In academia such synthetic efforts are resurfacing now in many types of interdisciplinary research. Yet the unity of understanding that Alexander von Humboldt was pursuing still seems to be mostly lacking in such research. As a result, we are still at the beginning of achieving new and better syntheses. The current effort of big history in combination with detailed studies, including experimental history, could achieve miracles to further that goal, or so it seems to me.